We Believe In A Powerful You! follow their passion and live rich authentic lives. Our Network welcomes all women from all walks of life. We recognize that diversity in our relationships creates opportunities. Powerful You! creates and facilitates venues for women who desire to develop connections that will assist in growing their businesses. We aid in the creation of lasting personal relationships and provide insights and tools for women who seek balance in all facets of life. We believe in the Power of Being Present. Powerful You! 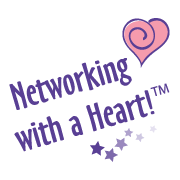 Women’s Network gathers collaborative women for monthly chapter meetings and virtual events. These meetings help women tap their passion, purpose, and potential in the areas of Business, Personal, and Spiritual Growth. We create opportunities for real connections, conversations, and growth within the meetings so women get to know one another at a deeper level and for meaningful and mutually-beneficial relationships. If you want to grow your business, you have to grow yourself, so our meetings include aspects of personal development. Meetings consist of personal Introductions, group discussions, speaker presentations, networking tips, and the sharing of growth, successes, and gratitude.